Concert Court. 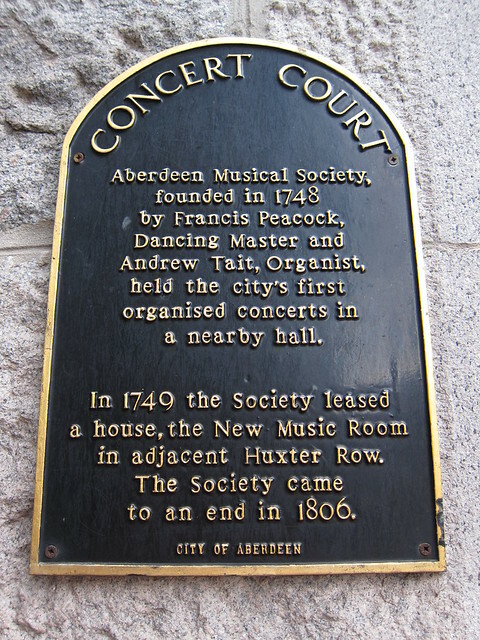 Aberdeen Musical Society founded in 1748 by Francis Peacock, Dancing Master and Andrew Tait, Organist held the city's first organised concerts in a nearby hall. 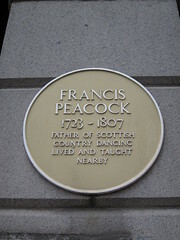 In 1749 the Society leased a house, the New Music Room in adjacent Huxter Row. The Society came to an end in 1806.